For Arizona Coyotes goaltender Mike Smith, the moment was not as bright as he hoped. In fact, the shine and gleam for a stellar career achievement was dimmed by the reality of the current season. After Smith shut out the Colorado Avalanche this past Monday night, he passed Nikolai Khabibulin and Ilya Bryzgalov with 22 shutouts for the franchise record. The victory also placed Smith just two wins behind Bob Essensa (129) for second place all-time in franchise history. Bryzgalov holds the team mark for most wins with 130 victories. While Smith acknowledged the shutout mark was gratifying, there was a larger consideration. Smith’s season monitored the Coyotes’ fortunes. Right out of the gate, he gained a 4-3 overtime, opening night victory over the Philadelphia Flyers. Then, the Coyotes proceeded to drop six in a row and began treading water as early as late October. If the team suffered through the early weeks, Smith went down with a left knee injury in the second game of the season and did not return until losing to the Calgary Flames, 2-1 on Nov. 18. Since, Smith has been steady in net and that’s despite a team nine-game losing streak between Dec. 17 and Jan. 7. Still, Smith’s play and production throughout his NHL career was good enough to skate with the Pacific Division All-Stars Jan. 27 at the Staples Center in Los Angeles. It was here that Smith, as a first-time selection, etched his name into the glorious history of the game. He shot the puck the length of the ice and through a small opening from his own goal line. Bo Horvat of the Vancouver Canucks was the first to wrap his arms in jubilation and even the Staples Center loyalists joined in the chorus. For now, Smith has the accomplishment of earning the most shutouts in the history of the Winnipeg/Phoenix/Arizona franchise. 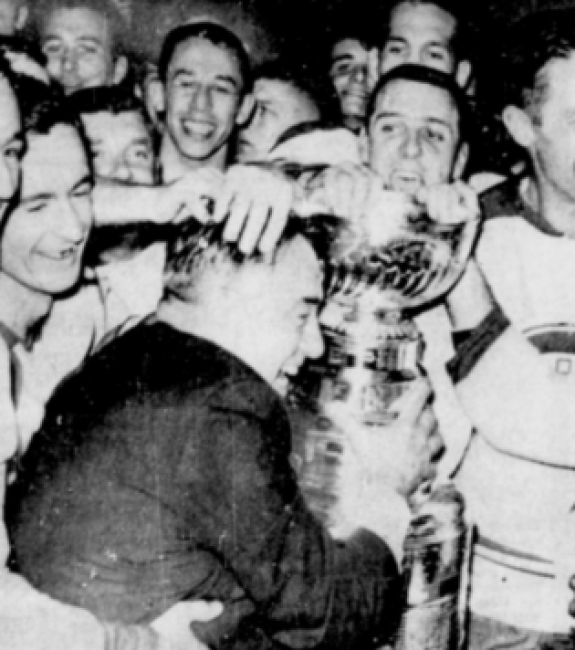 Yet, the greater prize, that silver chalice, hockey’s holy grail, the Stanley Cup, which is the ultimate goal of every NHL player, still eludes.